Many hiring managers and recruiters are faced with the challenge of quickly finding skilled candidates that will fit the existing workplace culture. Evaluating skills is relatively straightforward, but what about culture fit? 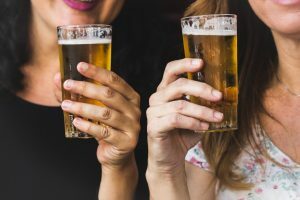 One common solution is the “beer test” – in essence, asking yourself “would I enjoy having a beer (or coffee) with this candidate?” Some hiring managers will even take the candidate outside the workplace to evaluate this firsthand. While on the surface this might seem like a good idea, it’s ultimately a problematic method. First, the power dynamic between the hiring decision maker and job seeker creates a unique interaction that won’t necessarily reflect how the candidate will behave after they’ve been hired. Secondly, a candidate’s ability to interact effectively in the workplace is rarely connected to whether they would be fun at a bar. Culture should relate to how employees collaborate with each other, take on new responsibilities, pick up the slack when someone else is struggling, and respond to direction from their manager. Under most circumstances, culture is not be about how people interact outside of the work environment. Unless the work is highly external facing, this social situation is not a realistic reflection of the day-to-day work environment. On a deeper level, “culture fit” itself is a problematic concept when it comes to diversity and inclusion. While developing a strong company culture can be a good thing, cultural tunnel vision can exclude people that would bring different perspectives into the work environment. Experts who regularly work in this space recommend thinking of hiring as an opportunity for “cultural add” instead of “cultural fit.” Be skeptical of interviewers who suggest that someone “isn’t the right fit” if they can’t articulate why. Unconscious bias and thoughts like “I wouldn’t like to have a beer with this candidate” are closely related and can result in missing out on great candidates. If this seems to be happening frequently with candidates from a specific demographic group (Women, People of Color, LGBTQ, etc. ), this could be an important opportunity to address institutionalized prejudice you may not have noticed previously. Hiring great candidates that work well within your team is a process that requires a good understanding of the needs of your organization as well as the parts of your culture that might be exclusionary. Don’t let beer or coffee be the reason you miss out on hiring a great new candidate that will bring a fresh perspective to your workplace.